My colleague Rickard recently did a great graphgist on Elite:Dangerous trading. When I read his post, the first thing that struck me was that he had found a great clever way to import data into Neo4j. And since I have been into data imports for a while, I decided to take it for a spin, and write it up for you. 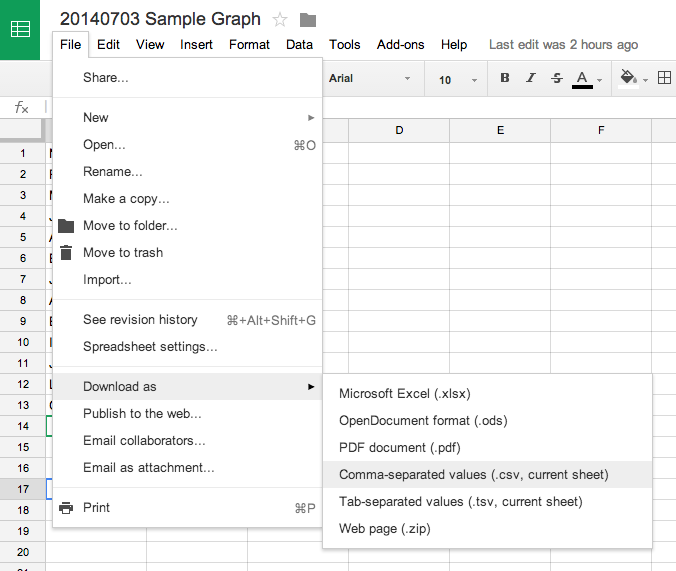 Google Spreadsheets have a great capability to export the data into a CSV format. That export capability generates a unique URI that you can download the CSV of a specific sheet in the spreadsheet from. Neo4j's Load CSV capability can leverage data that is located at **any** URI. The data does not have to be local - it can be anywhere on the network. So let's give this a try. 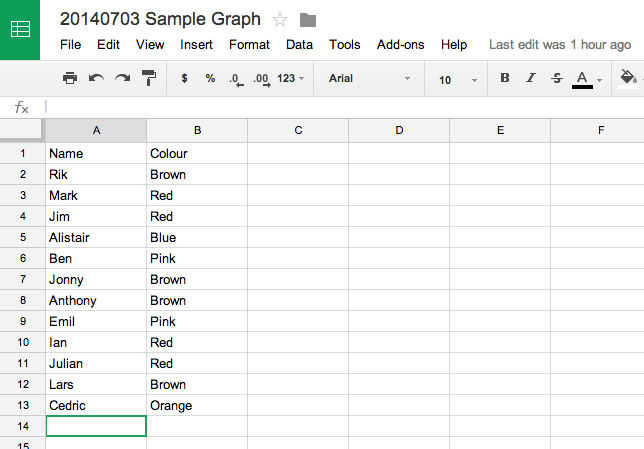 What we want to do is to put some sample data into a spreadsheet first. You can find that actual sheet over here. Clearly it's not a very big sheet - we are just trying to do a little test. the spreadsheet needs to be publicly accessible over the internet. Otherwise Google will ask you to authenticate first, and the Neo4j Load CSV process will not know how to do that. You can copy that URI from there (in this case it is this ugly thing! 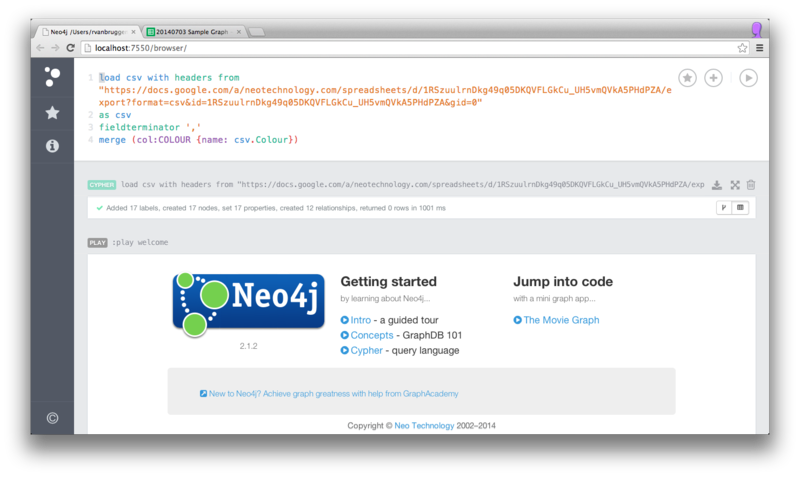 )- and then we move on to the next stage: importing into Neo4j. And although this graph is very haphazard and not very interesting, I can query it straight away. That's all there is to it really. Importing data was already way easier with LoadCSV, but thanks to Rickard, we can now do it straight from a Google Spreadsheet. Thanks Rickard! I still use it all the time!!! 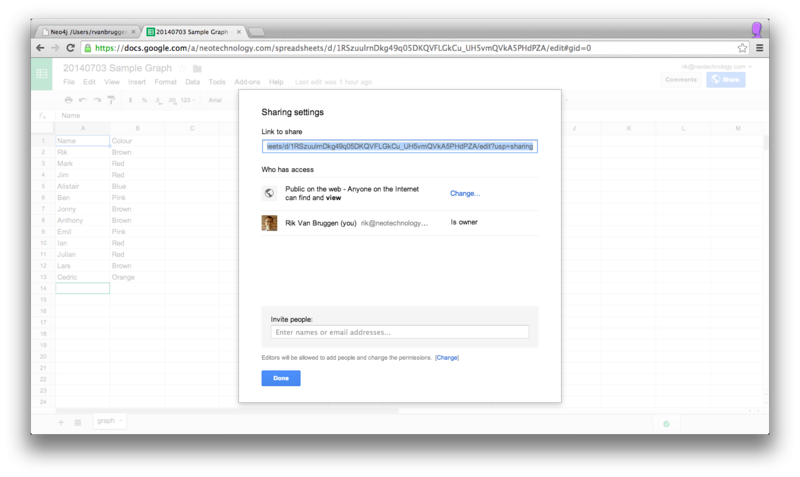 even more awesome if one can trigger update on neo4j from google sheet. wonder if there's an efficient way in doing this.